Sweet side dish or dessert? Normally rice pudding can be both. With its layers of pineapple and fluffy meringue, this one is definitely angling for the dessert table at your next potluck or family gathering. 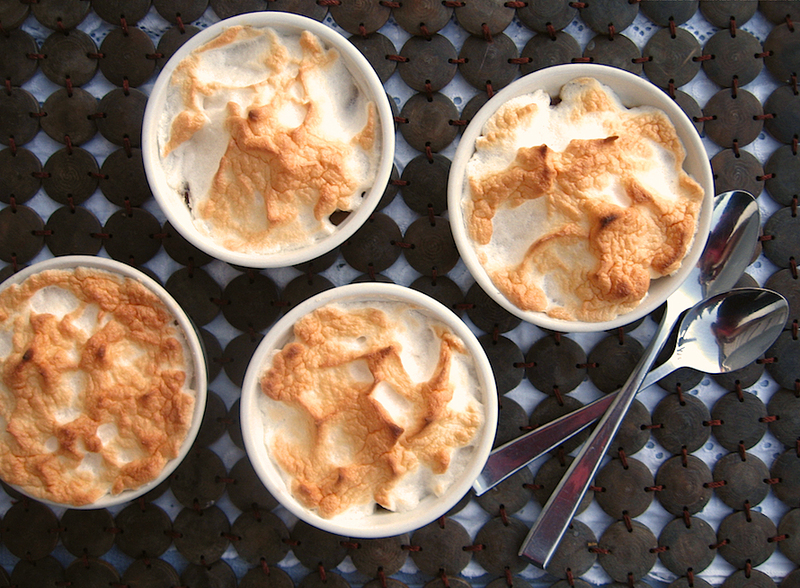 Rice pudding is versatility in edible form. As a sweet side or a comforting dessert, it complements almost any type of spice palette, from Mexican to Indian to Scandanavian dishes. With something just so deliciously sweet and creamy, you cannot go wrong. My perfect late spring or summer meal would be this rice pudding, along with barbequed ribs, coleslaw, and freshly shucked corn on the cob. The only debate people have is whether to serve it warm or cold. I prefer it cold, especially since I like to eat baked rice pudding, which is rather like custard. Thanks to my mom, I’ve never made rice pudding any other way except baking it. This recipe and my Custard-Style Coconut Rice Pudding are based on her classic recipe, which (if you can enjoy dairy milk) is extraordinary. But since I have become somewhat lactose intolerant/sensitive after eliminating dairy for so many years, coconut milk works best for me. Pudding, for her trip to Sweden in 1968, where she met distant relatives and bought the lace for her wedding dress. Pineapple, for her trips to Thailand and Vietnam, where her first two grandchildren were born. 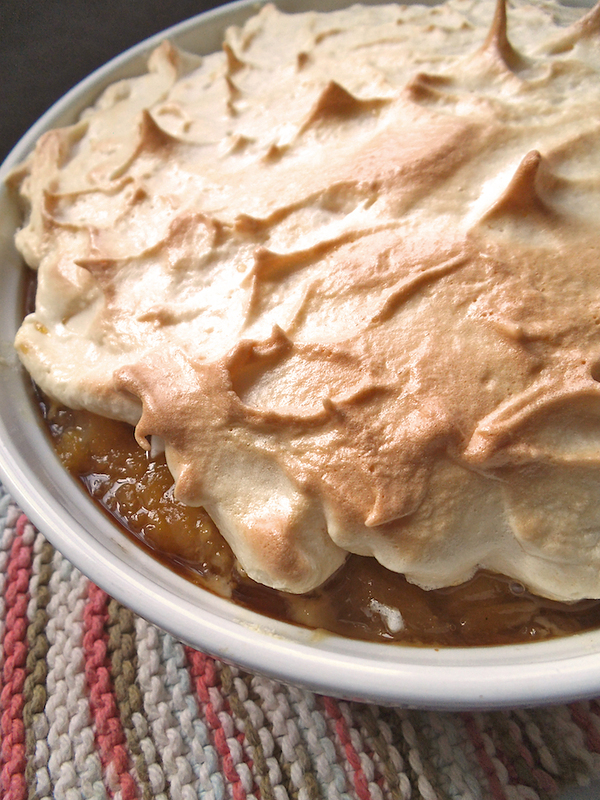 Meringue topping, for Alaska (á la the classic dessert), where she traveled to be at her brother’s wedding. She’s going back to Alaska this summer–on a cruise with my dad. The first time I made Pina Colada Rice Pudding, I used a large baking dish, which is great for serving a crowd. But making smaller puddings in ramekins is another great option. Mini desserts have mysterious powers of attraction. And they can theoretically help with portion control. It’s a challenge for me to stop at one of these creamy pudding cups though. Perhaps I should make them often, as an exercise in self-control; or better yet, create a reason to invite friends over and share. Blend milks and vanilla, if using, into beaten eggs. Stir in sugar, salt, and rice. Pour rice mixture into greased round baking dish or divide into ramekins. Fill another larger baking pan or dish with hot water 1-inch (2.5 cm) deep. 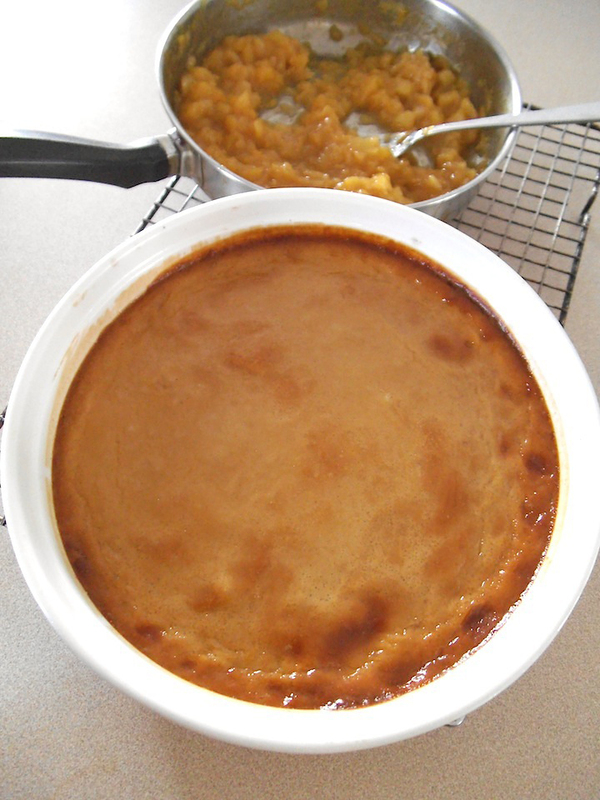 Place rice pudding dish into water pan (as a bain marie); bake at 350 F (180 C) for 45 minutes or longer for a baking dish, or about 35 minutes if using ramekins, until the middle is loosely set. Let cool. 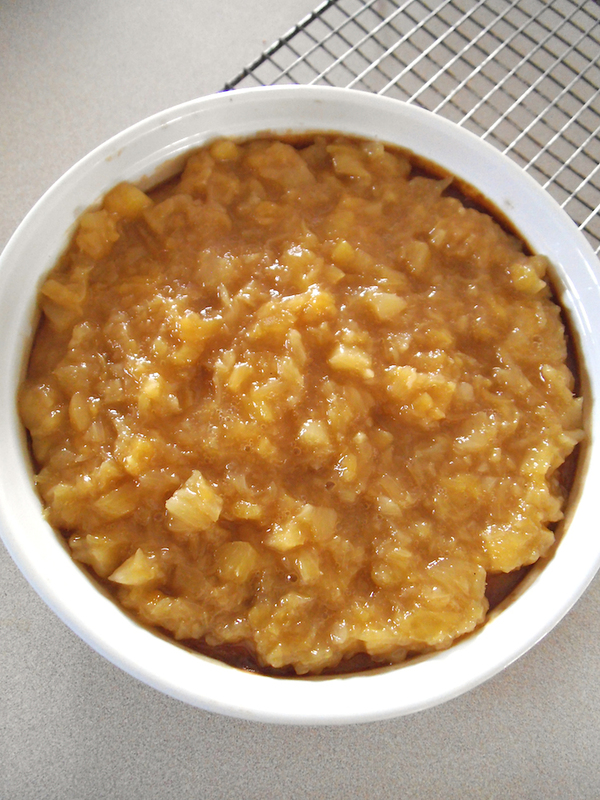 Meanwhile, make pineapple filling layer by combining pineapple, sugar, cornstarch (if using), and cinnamon in a small saucepan; bring to a simmer over medium heat. Simmer for 5 to 10 minutes, until some of the liquid has evaporated and the pineapple thickens. Remove from heat, stir in almond extract, and let cool. Spread over baked rice pudding. To make the meringue topping, beat egg whites and salt together with an electric mixer until soft peaks form. Add sugar and beat until incorporated and stiff peaks form. 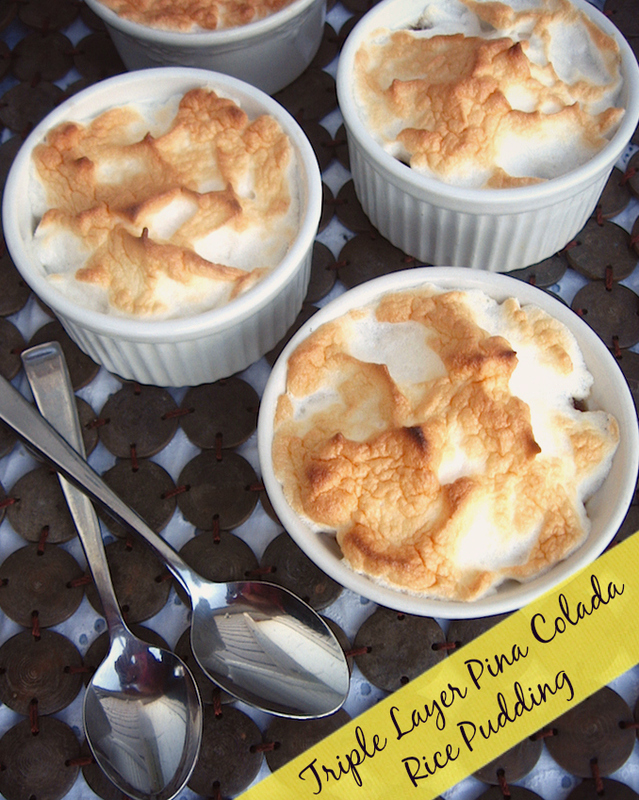 Spread meringue over pineapple layer, forming peaks with the back of a spoon or spatula. 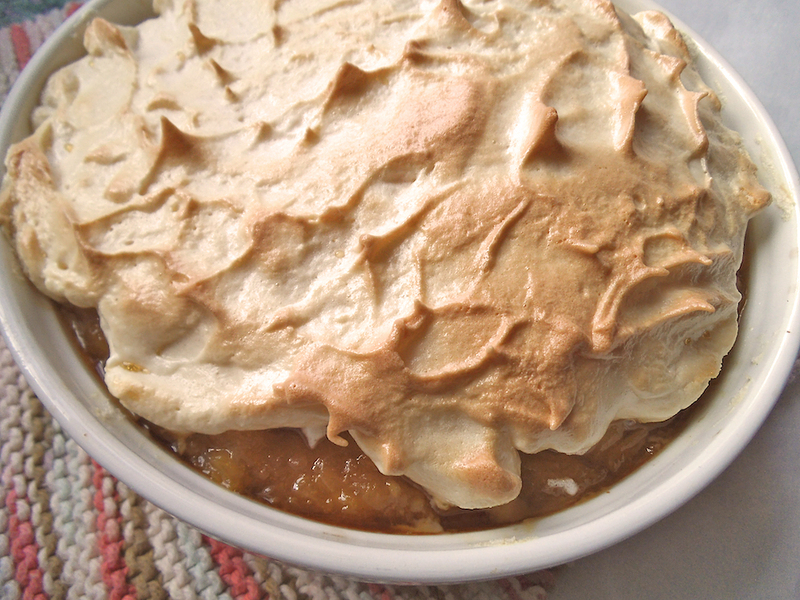 Bake the meringue topped pudding(s) at 350 degrees F (180 C) for 7 to 10 minutes, until meringue turns light golden brown. Serve warm or chilled. I share recipes at Gluten Free Wednesday, Allergy Free Wednesday, and here. I enjoy it for breakfast too! Oh so decadent and absolutely delcious! All my favorite flavors together. Did you save me one for a Mother’s Day indulgence???? I plan to serve some tonight, to I’ll set aside a cup for you. 🙂 Happy Mother’s Day! We love rice pudding and Bob doesn’t think I make it enough.. Will have to try your recipe — looks great! Do you usually bake yours or make it on the stove top? This looks so good! I love that it’s made with coconut milk since milk doesn’t really agree with me anymore either. Thanks for sharing on Merry Monday.